Jennifer Saunders, Joanna Lumley star in Absolutely Fabulous: The Movie. John Paul Gaultier makes an appearance, too! I think probably there is less fun in the clothes. Gaultier and Westwood are the two that still look like they are playing, they’re having fun, they’re doing something extreme. – Jennifer Saunders, British Actress. Fashion may be short on laughs, but I hear the movie is just as funny as the long running 90s British television show and the costumes are just as fab. Costumer Rebecca Hale made sure to keep Edina looking over trendy (and a bit trashy) in designer duds a few sizes too small. Her buddy Patsy is still donning chic brands such as Lanvin. The designers who contributed to the film are Vivienne Westwood, Stella McCartney (she makes a cameo appearance), Alexander McQueen, and Mulberry among others. 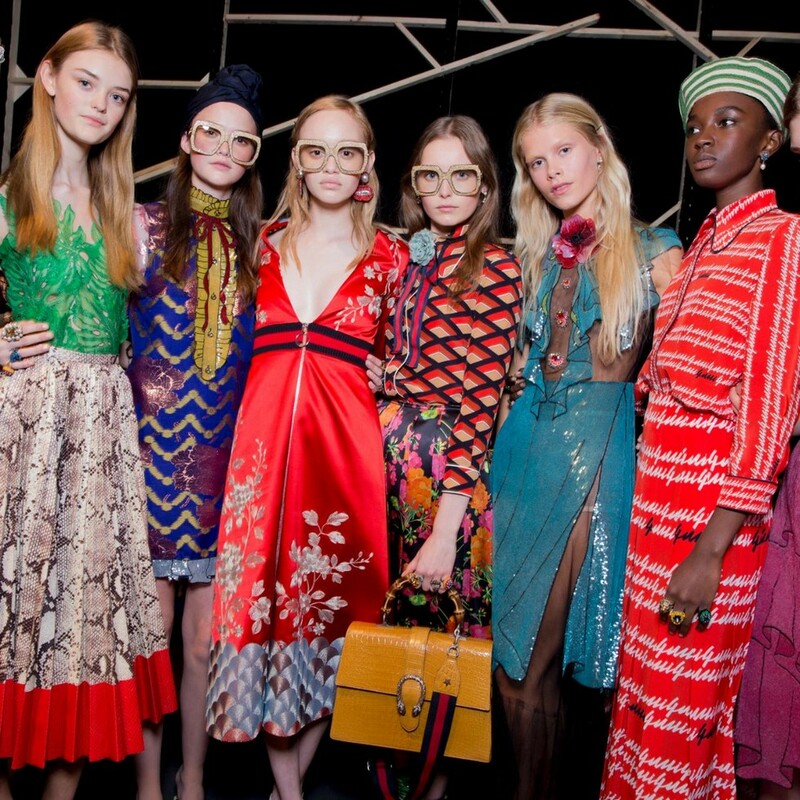 Lots of color, pattern, accessories and all round fashion fun. Not to mention plenty of laughs. I’m looking forward to seeing it, sweetie darling! Sewing. My great grandmother was a master at it. My grandmother also sewed and designed. My mother, too. But not I. Over the years since then I’ve picked up a class here and there. But after the project was complete I was done for the time being until I picked it up again and started almost from scratch. Once and for all I want to be able to make my own clothing – at least the basics and as a fashion writer, I want to understand clothing construction. I’m committed and luckily, I have found the right class or I should say, classes. I’m just about to take class number 3 with Kamal Ragbotra through Mt. Diablo Adult Education. I’ve been binge sewing since April and so far I’ve made a pair of pants with pockets and a knit dress. The wonderful thing is these classes are challenging but not overwhelming and it’s so much fun! I credit Kamal for all that. Her approach is serious but everything is doable and mistakes are learning opportunities. Like the time in the Knits Class when – two stitches in, using my double needle for the first time, it broke. “Why?” I screeched. Oh … because I didn’t switch the machine setting from zigzag to straight stitch. Kamal had warned us about that but in all the excitement over the double needle I forgot. Bet ya, though, that I won’t forget again. Add a tuck and a button. Up next is the Studio Class, to which we bring our own projects. That for me will be a skirt and my first zipper. After that? Hmm … something vintage inspired I suspect. A brand collapses without a designer. If there is no pure creativity, a company shuts down. It would be convenient for companies if managers did it all. But they are wrong. Raf Simons exited Dior. He is my dear friend, I have tremendous respect for him, he is so talented. Dior is not Dior anymore. I’m not saying that Raf was perfect for that position, but he refreshed it, he brought a breath of novelty to the brand. It’s very difficult to replace someone who has left a mark. – Donatella Versace, Italian fashion designer. Style Slam happening at the American Craft Council Show August 5-7. Make sure to mark your calendars for the upcoming American Craft Council Show, August 5-7, 2016 at Fort Mason in San Francisco. Every year the ACC brings together over 220 top craftspeople from around the country to exhibit and sell their wares, which includes one-of-a-kind jewelry, clothing, gifts, fine art, and home décor. Each show also includes activities and new this year it’s something called Style Slam. Sounds like fun … what is it? Well, four local stylists will shop the show and put together several looks on models and attendees, demonstrating how unique handmade pieces can work into any wardrobe. Betina, have you been to the ACC show before? I am so excited to not only attend my very first ACC show, but to be a stylist for the very first Style Slam! I’m amazed by how artists and designers can tangibly showcase their creativity; and use their work to tell their stories and share their world view. When someone purchases and wears a designer’s work, they not only embrace the designer’s story – but they make it their own as they too infuse their stories, unique personalities, style and flair. That is so true and well put. How will you approach your task for Style Slam? My approach to Style Slam will mimic my approach to working with any client or business: entering the experience with a sense of wonder, excitement, curiosity; and with an open mind and heart! I can’t wait to experience the innovation and creativity that is ACC. To be a part of such an incredible event that celebrates and showcases such talent is an honor! I can’t wait to “slam” talent that not only speaks to me but that is cutting edge and fashion forward – and that I hope speaks to others. Thank you, Betina. I look forward to seeing what you put together! Something else new at the ACC show is Make Room – local home decorators will style rooms with pieces from the show. Then, Style Slam and Make Room will cross over for Design Meets Style with the styled models hanging out for photos in the styled rooms. Friday, 11-4- Stylists will scout the show floor and “slam” their favorite pieces and style their mannequin. Saturday, 10-12 – Design Meets Style program with commentary. Each stylist is paired with a Make Room designer and will style their own model that reflects the theme of their designers room. Saturday, 1-4:30 – Member Makeover program with commentary in Style Slam booth. So much fun all in one place. Don’t miss it! Click here for more scoop. Our glamorous business has an unglamorous secret. Fashion has become the second most polluting industry in the world, and it’s time we did something about it. But the solution is not what you may think. Our existing model is a one-way street where precious resources dwindle until they’re gone, generating waste as a byproduct. Current problems have less to do with production or consumption than with a fundamental flaw in how we design products. – Lewis Perkins, president of the Cradle to Cradle Products Innovation Institute. Cradle to Cradle works with companies to help improve their design process. With fashion, for example, Cradle to Cradle connects designers with sustainable manufactured dyes, fabrics, thread, yarn, etc. Wow! This is really exciting – imagine guilt-free fashion. Click on the link above to learn more. Fashion is not about products. Fashion is about an amazing idea that you tried and you either fall in love with the idea and you can’t resist to buy something. But you are buying the idea, you are not buying the object. – Alessandro Michele, Creative Director of Gucci. Mr. Michele was appointed Creative Director of Gucci in January 2015, after having donned many other hats within the brand since 2002. The story goes that as he was just about to leave the company when CEO, Marco Bizzarri paid him a visit for coffee. The simple visit turned into a job offer and request – can you put together a men’s line in a week? 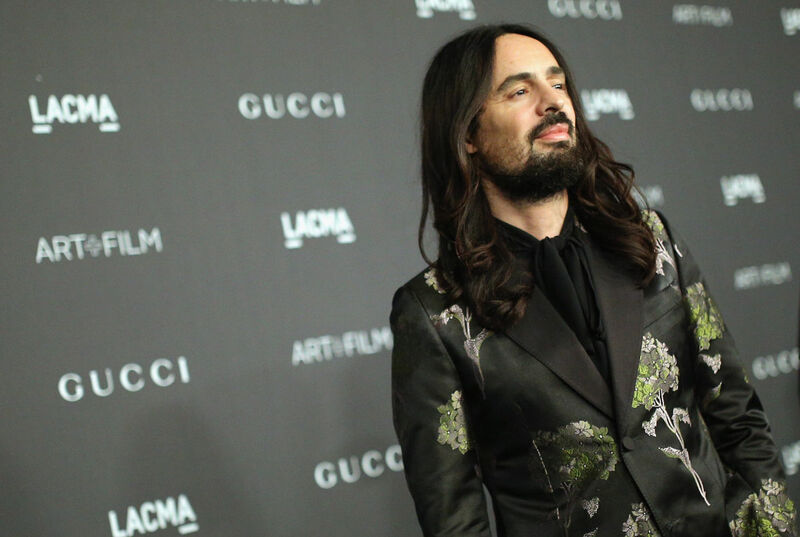 In the year and a half since, Mr. Michele has revitalized Gucci, causing quite a buzz and bringing to the iconic brand his sense of history and a love of accessories, particularly large antique rings. Called The New Romantic, he has received rave reviews for his wearable silhouettes and use of pattern and color. Most of all I think fashion followers are fascinated with the designer’s retro 1970s vibe, which feels so refreshing. I like the fact that he’s incorporated some of the old-school Gucci elements such as the red and green stripe and bamboo handle on the handbags. Some say Mr. Michele will set the new overall flavor in fashion. At the very least, he’s one to have fun watching. Alessandro Michele for Gucci, spring 2016.